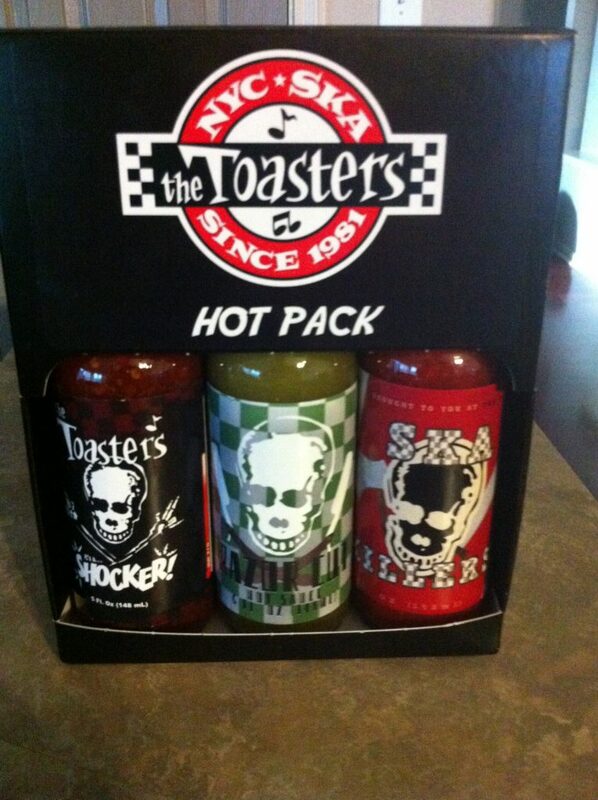 For a limited time we have some special boxed sets of the three Toasters hot sauces available. There are only 48 of these cool combo packs, so hurry while stocks last!! These are packed in a custom printed box and come with a bonus Toasters sticker. Price is $35 inclusive, shipped by US Priority mail only. USA postal service only, we’re sorry but these packs are too heavy to ship via airmail. Contact Buck at [email protected] if you are able to pick one up at a show during our upcoming Euro tour.